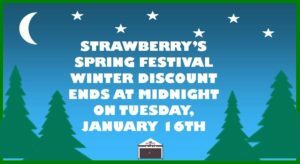 Don’t miss out on our special Winter Discount, on camping tickets to the Spring 2018 Strawberry Music Festival, ending next week. You can buy your discounted tickets through our online store 24 hours daily, by calling our office M-F, 9-5 at (209) 984-8630, or send the printed order form, with your postmarked check payment, to P.O. Box 664, Jamestown, CA 95327, on or by Tuesday, January 16th. Browse around our website for lineup and festival information and you can always call us, during normal business hours, with any questions you may have. 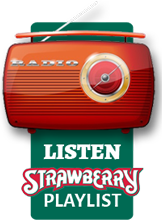 We hope to see you there, for another epic #berryfest over Memorial Day weekend!